Next up in our student interview is our Italian godfather, don Magagni. A man of great passion, he has made a legendary reputation within the school walls as a micro-mechanical/part-making wizard. What attracted you to watchmaking? Different reasons attracted me to watchmaking, after 21 years of night shifts in different fields I needed a change. I've always been attracted by mechanical parts and how they work together, I've always been amazed how, in such a limited space like a timepiece, you can fit in so many delicate and small components and how they can work in so great harmony and with such great precision. I also grew up surrounded by all sort of clocks, both alarm clocks and chime clocks along with pocket watches. What did you do before you started studying watchmaking? I have a diploma in technical dentistry and worked 6 years in the field. I have worked as a waiter and a bartender, as well as a professional casino dealer and international poker dealer. What has been your favorite part/subject of your time at school so far? All subjects have been extremely interesting but the component making I think has been the one which attracted me the most. What is your favorite watch brand and why? I don't have a favorite brand, I keep an open mind and admire what different brands do and the innovations that they come up with and bring to the industry. entirely made by hand, using traditional Schaublin lathe. What was your first watch? How old were you when you got it? My first watch was a quartz Seiko with digital display, I must have been around 12 or 14 years old. Right now I only own once watch, an old Perseo pocket watch. What do you plan on doing after school? Well I'm planning to find a job in the industry hopefully in after sales service or restoration and gain experience. Maybe one day I'll go independent and open up my very own after sales service shop and restore old antiques watches. What do you like/dislike about the watchmaking industry? I don't know much about watchmaking industry to have an opinion yet but I've worked in many different fields in the past and more or less industries are much alike, just a few different technical aspects. What types of watches do you like (classical, sporty, extreme)? Classical watches, some sporty watches are interesting mostly for the materials used, extreme are definitely not my cup of tea. How do you like living in Switzerland? Switzerland in my opinion is a good save country to live in, civilized and friendly. What do you like to do in your free time here? I don't have much free time but when I do I like biking around the mountains, go to the swimming pool, go jogging and visiting new places. What is your favorite tool you have made or used, do you often buy second hand tools? I have made some tools either planned by the school program or created for special needs, I don't have a favorite tool I think that every tool has its special way of being used and the secret is to learn how to use it in order to get the best out of it. I do visit often second hand tool shops and tool flea markets and I buy all sorts of tools which hopefully will be useful to me in the near future. Balance staffs that Stefano made in the 8 mm lathe and the Jacot tool. Us here at K&H Watchmaking Competence Centre would like to thank Stefano for taking his time and answer few of our questions. Disclaimer: The opinions of the students of K&H Watchmaking Competence Centre do not necessarily represent the opinions of the school. In 2014, Patek Philippe watch manufacture in Geneva celebrated their 175th anniversary. To celebrate this milestone, the manufacture launched a watch which is their most complicated wristwatch to date. Only 6 watches will be made and they will sell for $2.5 million. Patek Philippe made a video about the making of the anniversary watch. Instead of writing a big article about how beautifully crafted this watch is, we will let the video speak for itself. It is a must see for all watch lovers and for people who would like to understand what high-end watchmaking is all about. That is exactly the reason why we would like to show you this video, because we believe the fundamental principles of our school harmonies with this excellent timepiece. Enjoy art combined with amazing craftsmanship from one of the most beloved Swiss watchmaking companies. If you are interested to read more about this watch, we recommend that you head over to Hodinkee and read their take on the watch, it's a great article, very detailed and thorough. 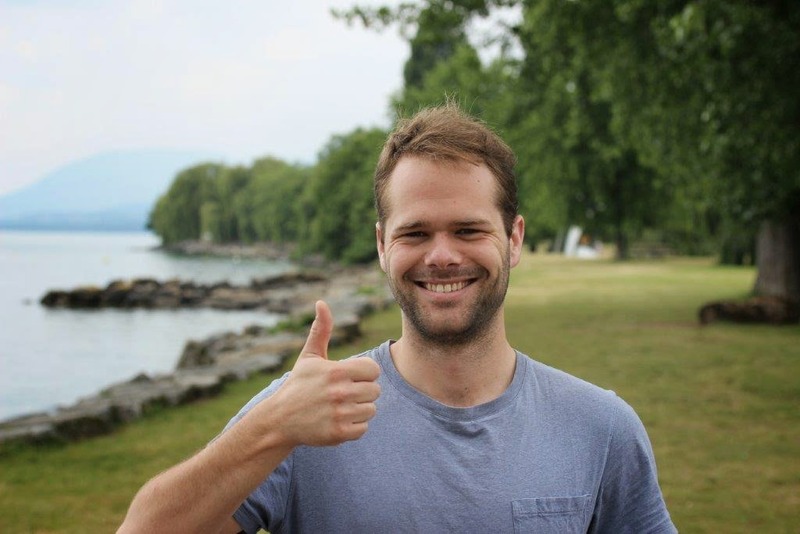 The second student we introduce to the watchmaking world is the school 'comedian' (every school has at least one, even a small school like ours), Charles Birchall from Toronto, Canada who sees the positive and humor in all things possible but is also quite serious when it comes to watchmaking and the future of the industry. 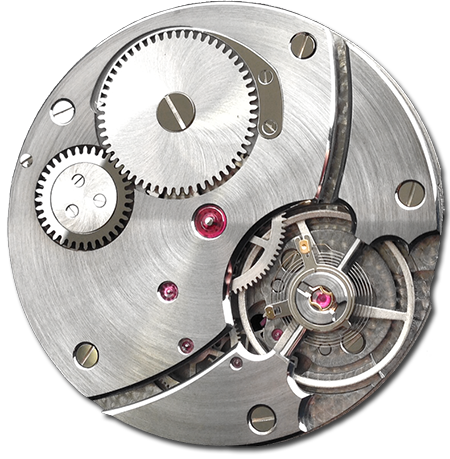 I think what first attracted me to watchmaking was the sort of purist nature of the movement. Here is an instrument that has not fundamentally changed in hundreds of years and yet it still commands the interest and wealth of so many people because of its complexity and the romantic, seemingly mysterious profession that surrounds it. I always had an inclination toward working with my hands which took me from modifying paintball guns to building computers and so on and so forth until I stumbled upon what I thought, and still think, is the trade with the highest level of craftsmanship around today; watchmaking. Before I started at K&H I was studying Political science and Sociology at a University in Toronto called Ryerson. A massive beast of a University where I found myself really quite frustrated. I was stagnating, I wasn't into my major so I thought I would take that hobby I had been pursuing so intensively on my free time and see if there was a place for me in any of the watchmaking schools around the world. I think my favorite subject so far has been the pivot gauges. It was a subject that you could really throw yourself into and spend lots of time focusing on because it was such a simple and streamlined task but took so much skill to accomplish. I found myself really absorbed in the subject and everything else seemed to just fade into the background. That's a difficult question as the more you learn about the industry the more the lines become blurred. It's tough to think of a brand that has a lot of integrity these days and produces a product that truly embodies the real craftsmanship involved in watchmaking. I'm going to have to state the obvious here and go with A. Lange & Söhne because they do put the most handwork and thought into their products and it's by far and away the biggest 'bang for the buck' in the industry. A Keith Haring Swatch watch I was probably around 8 or something. It was nothing special, no feelings of curiosity or anything, I just wore it and probably broke it soon after I got it. At the moment I own about three watches; A SWATCH watch, a Shanghai Special (Chinese brand) and lastly, meine liebe, my IWC Mk11. I have a particular obsession with the Mark elevens which were produced for the RAF and RAAF just after the Second World War. One day I hope to own a nice JLC MK11 with the original radium dial! I plan on working as a watchmaker of course! Hopefully in a capacity which allows me to really use the special skills I have learned here but I don't mind paying my dues early if I have to. I have a few places I would ideally like to end up, namely a really well established repair shop in Zurich where I could repair a wide range of both watches and clocks and do lots of restoration which is my main focus at the moment. working on during his time at the school. I understand the perspectives of the big brands and their approach to after sales service but think that parts should be made more easily available to the watchmaker. I also believe that the industry needs to make a serious commitment to education and to taking a more sustainable view on management. I like classical watches most of all. Early into our time at school we visited Philippe Dufour's workshop and needless to say we were all gob smacked and now I have the site of fine lines, small case sizes, and hand finished bridges ingrained deep within my philosophies and opinions on watch design. I do also like a good military watch though. A rugged watch designed for the elements without any sporty technology though something really simple. How do you like in Switzerland? We're truly living in a paradise here and would love to make a life for myself in this country if given the opportunity. I think an interest in sports is easily supported here as everyone seems to get into seasonal sports and exercise. I also enjoy the galleries and museums in the German part of Switzerland as many of the private collections of some of the biggest names in the industry are open to the public along with lots of small galleries, especially in Basel. What is your favorite tool you have made or use, do you often buy second hand tools? I think my favorite tool which I had to make is the support we had to construct that is designed to rest a balance wheel on when doing poising. It's in the shape of a stick man and took a long time to file by hand. I rarely buy second hand tools but will start to buy more and more as my ambition to eventually have my own workshop keeps growing. Charles had to re-make the stopwork finger and the Maltese cross for this barrel by hand for one of the two restoration watches he has been restoring. Us here at K&H Watchmaking Competence Centre would like to thank Charles for taking his time and answer few of our questions. Charles's blogpage is: http://charlesbirchall.blogspot.ch/, please check it out. We got a donation of watchmaking tools and parts 2 boxes full! we are very happy that there are people out there who are willing to promote education of watchmakers, we can use a lot of this in education. Thank you so much. Brad was not happy with the paint he had on this tool from before so he decided to re-paint it, this is how it came out. 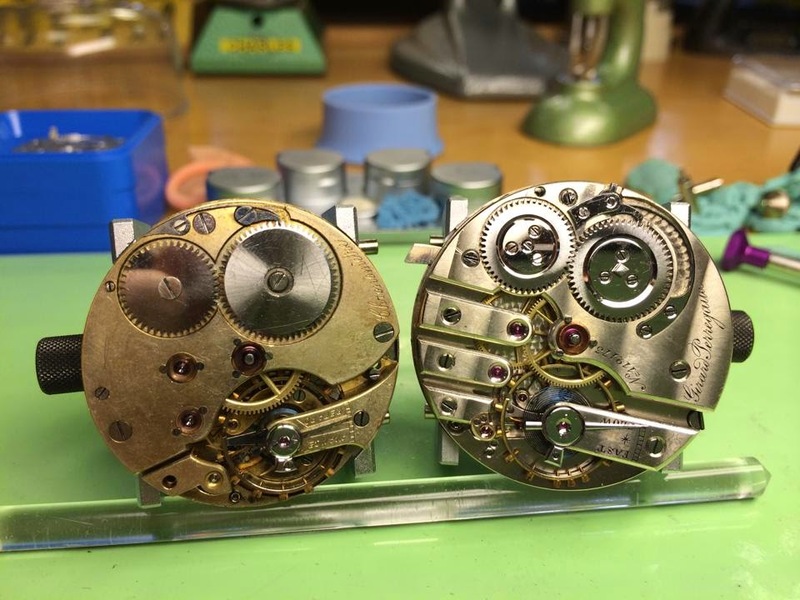 Stefano doing a side project, restoring an old Longines watch. Showing here the center wheel that is in need of attention. Kevin working on a ETA 2000-1 for a private client, very tricky movement due to its small size. The students in workshop 2 started playing with hairsprings this week. This is how its supposed to be, centered and flat around the collet. 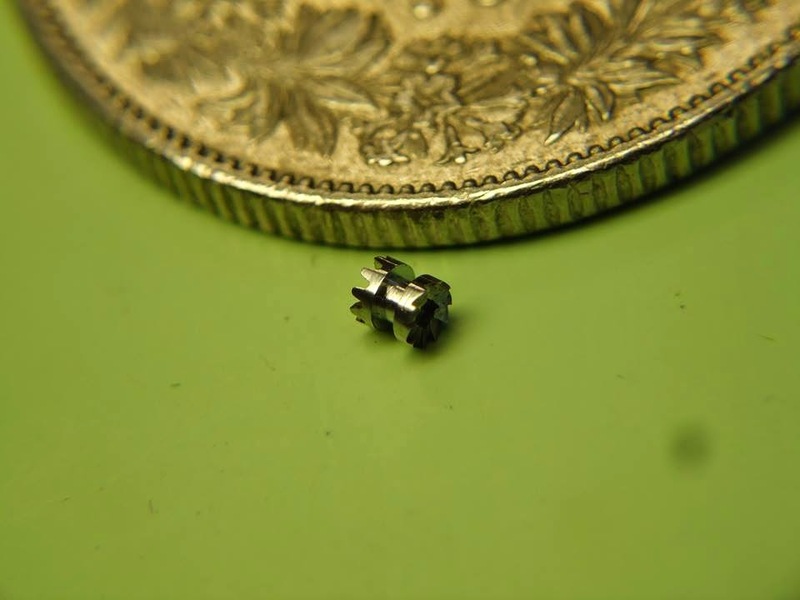 Stefano is adjusting Beryllium clock hairspring, practicing centering before touching the small sensitive stuff. Hello everyone. We thought it would be a good idea to interview and introduce our students to the watchmaking world. First up is our Icelandic viking and watchmaking phenomenon, Tryggvi. I’ve always been attracted to watches. I remember wearing a watch long before I could tell the time. When I got older I use to see advertisements from all the big brands in magazines and dreamed about owning one. I bought my first mechanical watch 06.06.06 and since then I wanted to know more and get to know what was inside. When I was designing and making my school watch. That was truly amazing. It is so exciting to see your thoughts transform into something real. Learning from all the trials and errors making the watch despite using Autocad program was immense. It’s hard to say. I do appreciate most the companies that have in-house movements and are willing to do something new. Not always the same old stuff like 95% of the brands out there. I have no clue what brand my first watch was but I was 6 years old. My second watch was Casio LCD watch, like every young boy in Iceland had. My first mechanical watch was Breitling Cockpit Chronograph. My friends thought I was crazy spending all that money on a watch instead of partying. I own 4 watches today. My plan is to work in a service center and hopefully go independent sometime in the future. Too much glamour and false advertisement. I have used the opportunity and traveled around Europe. It is great to be in the center of the continent. 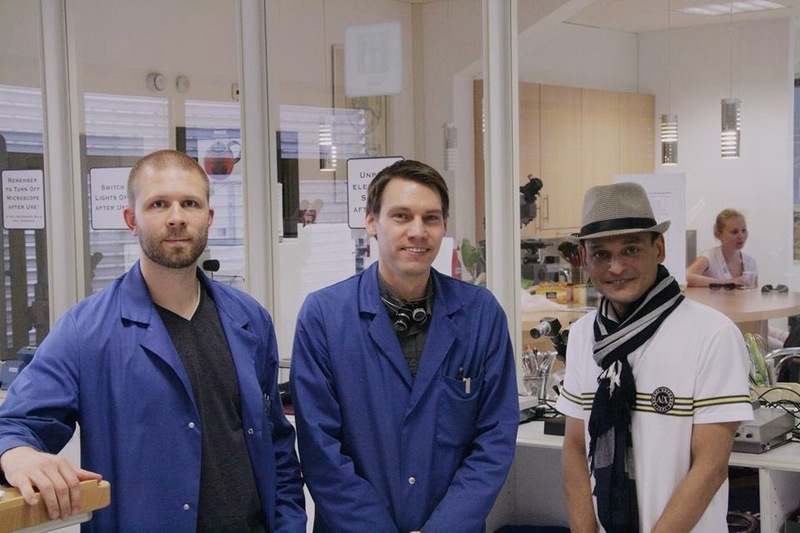 Us here at K&H Watchmaking Competence Centre would like to thank Tryggvi for taking his time and answer few of our questions. Tryggvi's homepage is: www.tsw.is, please check it out. 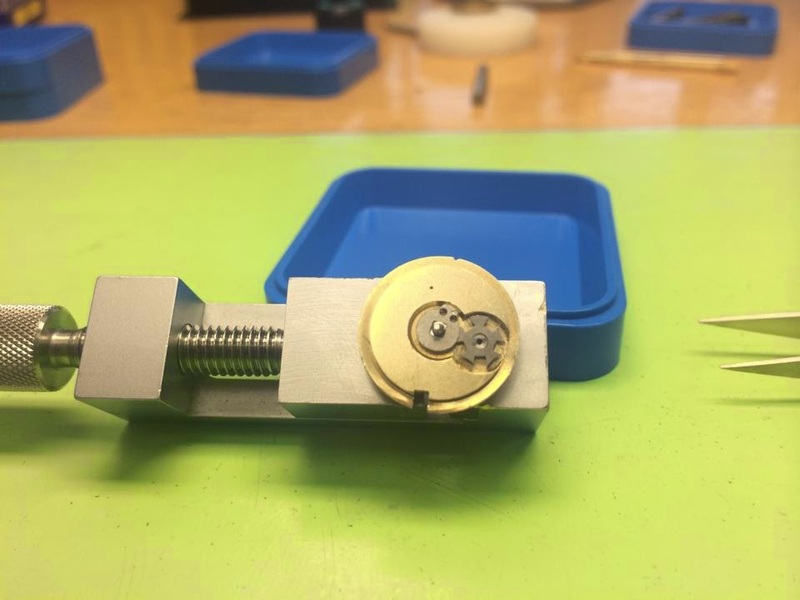 This is how the students receive their balance and hairspring exercises, the goal is to assemble, adjust and vibrate these balances and finally make as good timekeeping as possible. Brad made a part for his school watch in the jig borer. Tryggvi received his hands from the laser cutting company now in silver ready for finishing. Stefano cutting away material on the balance staff to be able to remove it and rivet a new one.